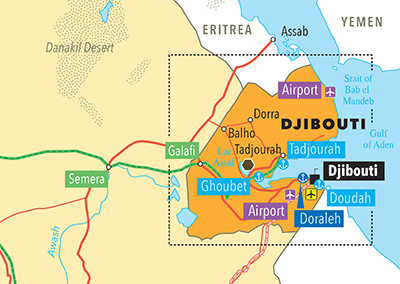 We are reposting our analysis of Djibouti's debt to China, in view of the launch of the Trump administration's new Africa strategy last week. Once again, the administration described Chinese lending as predatory: "the strategic use of debt to hold states in Africa captive to Beijing’s wishes and demands." No evidence was provided for this characterization of Chinese lending. As with the administration's overblown estimates of Chinese lending in Djibouti (discussed below), we urge reporters to do their own reporting on China-Africa debt issues, and not to simply report the administration's "facts" at face value. Here at the China Africa Research Initiative we specialize in tracking and confirming Chinese loans in Africa. We have not been contacted by the US government, and we wonder where they are getting their "data"? In this instance, we were able to interview top ranking officials in Djibouti's Ministry of Finance to confirm Chinese loan financing. We also have a confirmed report of $596 million in Chinese finance for two new airports, but this appears to be either a Chinese company suppliers' credit or a public-private partnership investment, not a Chinese government loan. However, even if we add this, the total comes to $1.9 billion. While several other projects--most prominently a toll road highway to the border--have been in the news, we confirmed that they are all still under discussion. Yes, $1.3 billion or even $1.9 billion is a large figure, but it seems inaccurate to call it "billions of dollars in Chinese loans". Undue alarmism? Another case of "alternative facts"? More reason to support an increase of $58 billion in the US defense budget? From what we can see, China's main rival in Djibouti has not been the US, but Dubai Ports World, which had a number of public-private partnership (PPP) port contracts in Djibouti, and had also arranged financing to build and operate ports in this important gateway to land-locked Ethiopia, one of Africa's most populous and dynamic countries. As always, if someone has better information, please comment here or contact us directly at SAIS-CARI at Johns Hopkins University. Time for an update? 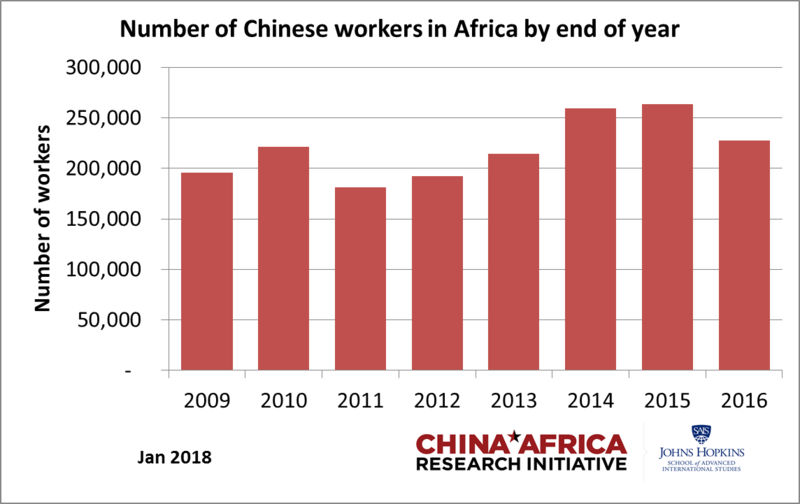 Over the holidays CARI will be re-posting some of the most-visited stories from our blog: China in Africa: The Real Story. Below is our April 2, 2014 "real story" about Angola's Chinese-built Kilamba Kiaxi, or Kilamba New City. Kilamba is an enormous Chinese-financed satellite city that is, surprisingly still today being derided as an example of a Chinese-built "ghost city". Several excellent field research-based studies by the intrepid team of David Benazeraf and Ana Alves, as well as Chloé Buire, Anne Pitcher, and others have debunked this myth, providing ample evidence that Kilamba was slow to take off but can hardly be called empty. By the time of her fieldwork in 2015, as Dr. Buire notes, there were 80,000 people living in the apartments of Kilamba, a mid-sized city had materialized on less than a thousand hectares. Today, it has become a popular spot for AirBnB rentals. And Phase II of the project appears to have been funded. 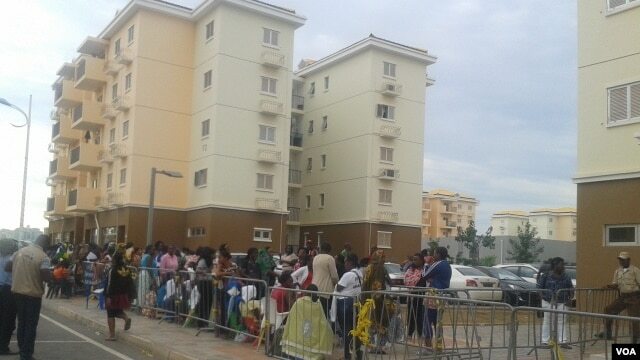 So when you hear the one about the Chinese "ghost town" in Angola on the VOA, the BBC, or CNN: think again. What's the real story? To visit the original post and the 21 comments, click here. We finally have the long-awaited 2018 Chinese financial pledges in support of FOCAC (Forum on China-Africa cooperation). 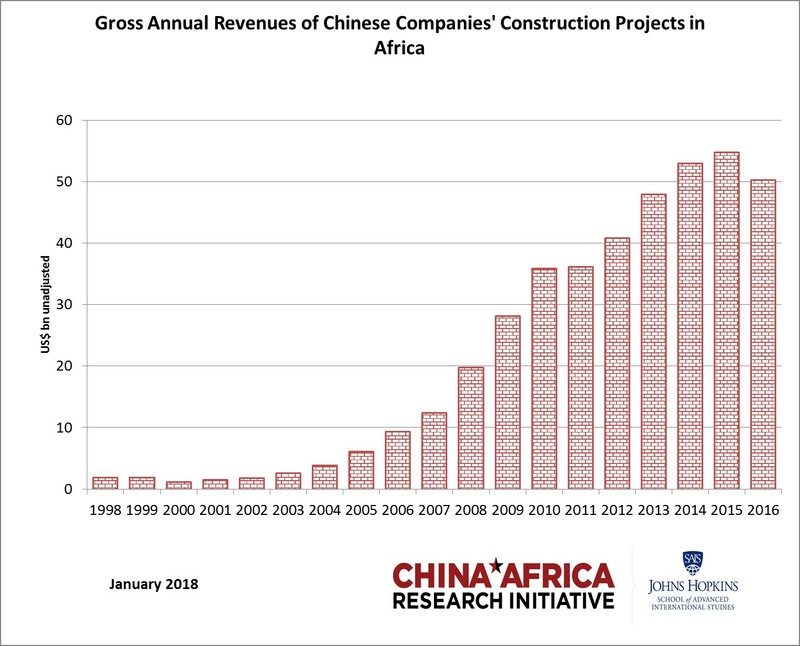 Although Chinese president Xi Jinping spun the numbers to come to $60 billion (the same as the 2015 pledges in Johannesburg), the Chinese state only seems to be putting $50 billion of its own money at stake, while encouraging Chinese companies to contribute the rest through their own investment projects. 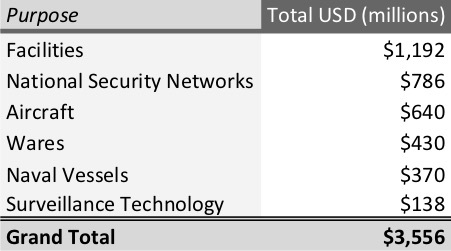 US$15 billion in foreign aid: grants, interest-free loans and concessional loans. US$5 billion for a special fund for financing imports from Africa. Here is my quick analysis in "four facts". 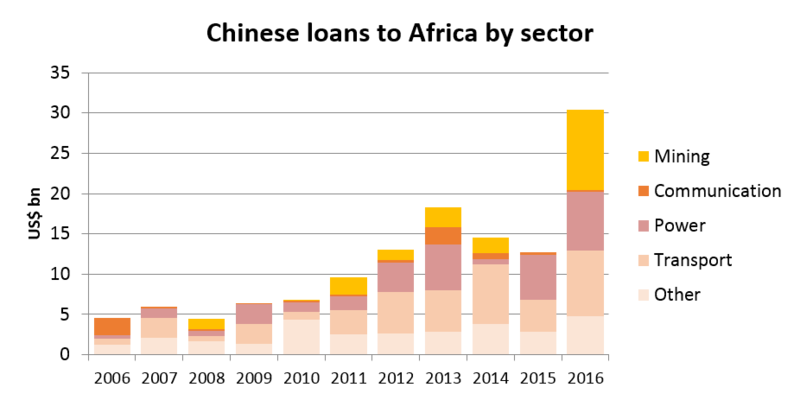 The first pledge of Chinese interest-bearing loans was in 2009 (US$5 billion). In 2009, the loan pledge doubled to US$10 billion, and in 2012 it was US$20 billion. At Johannesburg in 2012, the Chinese pledged a full US$35 billion in interest-bearing loans of various kinds, and another $5 billion in grants and interest-free loans ($40 billion in total). Now at this Beijing summit, we are back down to $20 billion in what look to be more commercial credit lines and export credits, while the concessional loans have been folded into the rest of the foreign aid instruments: the $15 billion. 2. Which makes this is a more concessional package than that offered in 2015. Why? Because China's foreign aid pledge (grants, interest-free loans, and concessional loans) has jumped to $15 billion. This means that China is providing official, concessional assistance to Africa of $5 billion per year, the highest level ever. These resources are likely all to be administered by China's new International Cooperation and Development Agency. 4. Debt relief policies have not changed but a lot of Africans won't realize this. Debt relief is (as always) limited to interest-free Chinese government loans maturing at the end of the year. These foreign aid loans are a long-standing and relatively modest part of Chinese finance in Africa. Since 2006, African overdue interest-free loans from China have been regularly cancelled -- but not everywhere. These are a relatively small part of Chinese lending. In 2018 these debt relief programs are again, as usual, limited to the "least developed countries, heavily indebted and poor countries, landlocked developing countries and small island developing countries that have diplomatic relations with China." 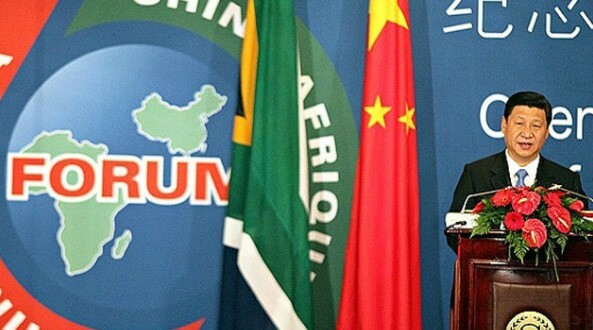 As Beijing gets ready to welcome dozens of African leaders to the Beijing Summit of the Forum on China Africa Cooperation (FOCAC 2018) in September, many will be wondering whether or not China has lived up to the 2015 FOCAC commitments made in Johannesburg. FOCAC pledges have happened every 3 years since 2000 and I have been analyzing them since 2006. As we prepare for analysis of this new round, this "Real Story" FOCAC Primer should help. I. The FOCAC cooperation plans are usually funded by different, specific instruments, and different Chinese financiers. The $60 bn pledged at the FOCAC in Johannesburg in 2015 was not all "official foreign aid" and it was not all "loans." To ensure the successful implementation of these ten cooperation plans, China decides to provide a total of US$60 billion of funding support. It includes US$5 billion of grant and zero-interest loans; US$35 billion of loans of concessional nature on more favorable terms and export credit line; an increase of US$5 billion to the China-Africa Development Fund and the Special Loan for the Development of African SMEs respectively; and the China-Africa Fund for Production Capacity Cooperation with an initial contribution of US$10 billion. responsible for $5 bn for the CAD-Fund: this is equity investment. This pledge represents only an increase in the fund. It is not guaranteed to be disbursed over 3 years (see point 4 below). also responsible for the increase of $5 bn for the "Special Loans for the Development of African SMEs". Disbursed over time, probably more than 3 years. $5 bn for grants and zero-interest loans. These are administered directly by the Ministry of Commerce. They should all be disbursed by now. $35 bn of concessional foreign aid loans and preferential export credits AND export credit lines. Concessional loans and preferential export credits are only provided by China Eximbank. The inclusion of "export credit line" was new for FOCAC pledges. This could signal commercial rate lines of credit (which China Eximbank also provides) or it could mean the inclusion of China Development Bank. All should be disbursed by now. $10 bn for the China-Africa Fund for Production Capacity Cooperation. This is also an investment fund and is administered by China Eximbank and SAFE (the State Administration of Foreign Exchange, in charge of China's foreign reserves). 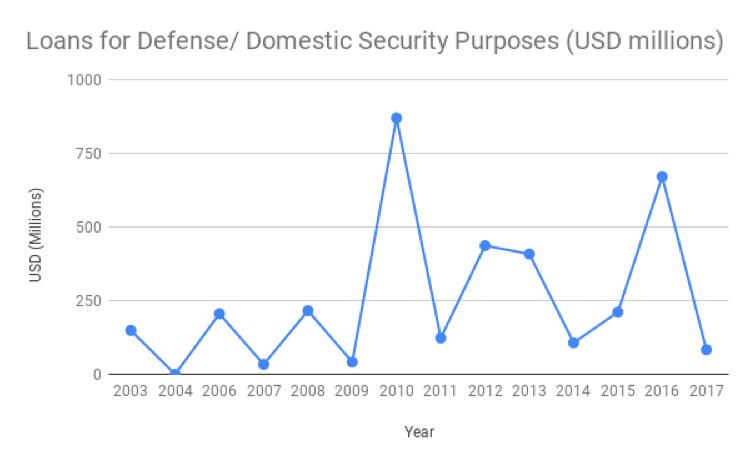 Disbursed over time. II. Why would it be a mistake to assume that all Chinese loans to Africa are part of the FOCAC pledges? At the China-Africa Research Initiative (CARI) at SAIS, we track all Chinese loans in Africa. The two policy banks -- China Eximbank and China Development Bank provide most of them. But we now see China's commercial banks --- ICBC, Bank of China, etc. -- making commercial loans in Africa. Our CARI database suggests that in the past, only China Eximbank's preferential and concessional loans were included as part of FOCAC's general pledges. For example, our CARI database loan totals for 2013-2015, the last FOCAC period, come to over $42.5 bn -- including suppliers credits, ICBC, CDB, etc. But the FOCAC pledge for that period was only $20 bn. So only about half of that would be specific to FOCAC and reflect the fulfillment of Chinese pledges. Indeed, a quick look at the loans by lender shows that during that period, China Eximbank committed or disbursed $26.4 bn out of that total. They are the main player for China's loans in FOCAC. Given China Development Bank's more commercial orientation, this is almost certainly going to continue. III. Some FOCAC commitments are open-ended in time frame and will roll out over more than 3 years. As one Chinese diplomat told me in 2015, implementing these pledges will go "most likely beyond 3 years or even longer." For example, at the 2006 FOCAC Summit, Beijing pledged to help set up 3 to 5 trade and economic cooperation zones in Africa. As our research showed, this pledge was not concluded until 2012. The initiative was led by Chinese companies, not Beijing. Negotiating, securing land for the zones, advertising them: it all took far more than 3 years. 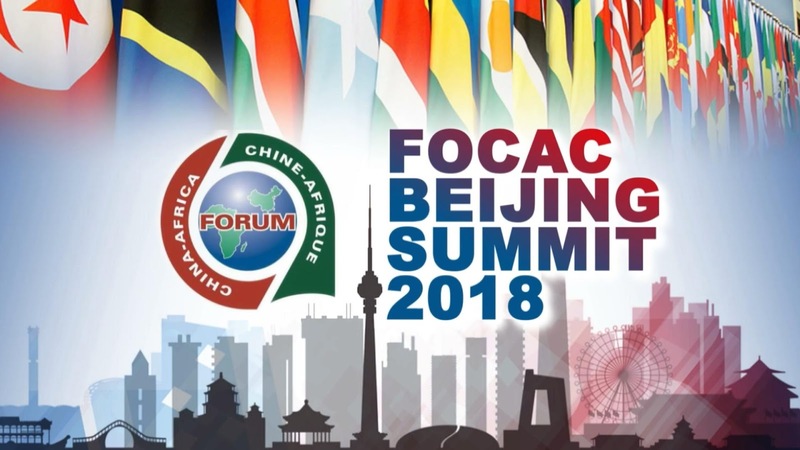 CARI will be publishing more analyses in the lead up to FOCAC here on our blog and on our website. Stay tuned! It is hard to collect data on China's development finance in Africa. That's why we curate a carefully constructed, painstakingly researched database on Chinese loans. We have data project by project, sector by sector. Researchers and policy-makers consult us regularly for more detailed reports on different aspects of Chinese loans. We publish reports on this data and related fielddwork: for example, our first working paper was on Chinese finance for hydropower projects and we have several others on Chinese finance for wind farms in Ethiopia and hydropower in Cameroon. China gave the most to the energy sector, providing $5bn a year, 88% of which was spent on fossil fuels. It did not appear to finance any renewable projects on the continent. Nearly three-quarters of the money supported oil and gas extraction, and another 13% supported coal-fired power generation. This simply isn't true. 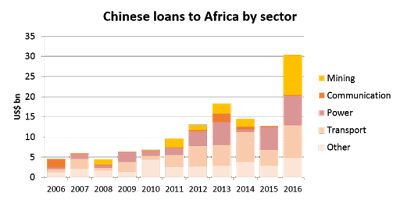 Between 2000 and 2015, the Chinese provided almost $10 bn in hydropower finance in Africa, and nearly $1.5 bn in solar, wind, and geothermal power. We only show $2.2 bn in coal-fired power, and $1.9 bn in gas-fired power plants during this period. In the power sector, African governments are borrowing far more for non-fossil fuel energy projects. Hydropower has its own critics, of course. But it doesn't qualify as a fossil fuel. Xi Jinping is in Africa. An often overlooked story in the China-Africa coverage is the Chinese response to African industrialization goals. Not in all countries, not in all sectors, but we have seen considerable Chinese factory investment in places like Ethiopia, Nigeria, Tanzania, and Kenya. In a forthcoming CARI working paper we report on our findings from the first phase of this research. For now, you can read my analysis in the Washington Post. CARI is seeking a full-time Senior Research Assistant to start in our D.C. office in July 2018. Key qualifications include a B.A. degree, fluency in reading and researching in Chinese, and MS Excel proficiency. This is a two-year position with the possibility of extension. To apply, please email your resume, cover letter, the names of two references, and a writing or research sample to sais-cari@jhu.edu, with the subject “SRA application”. Preliminary deadline is June 8th 2018. The offer is contingent upon funding and university approval. Applicants will also need to complete Johns Hopkins University’s application process - this post will be updated to include a link to the JHU application process as soon as it has been published. 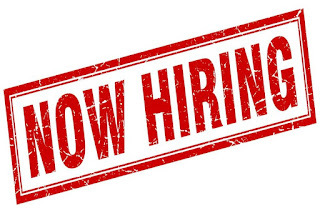 Applicants must be authorized to work in the U.S. SAIS-CARI cannot provide work visas. 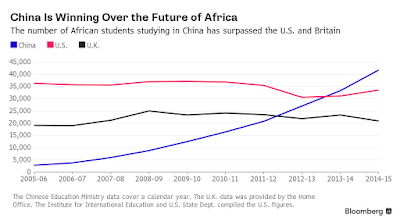 Is China winning the (hearts and) minds of African students? "China is winning over the future of Africa" goes another headline. 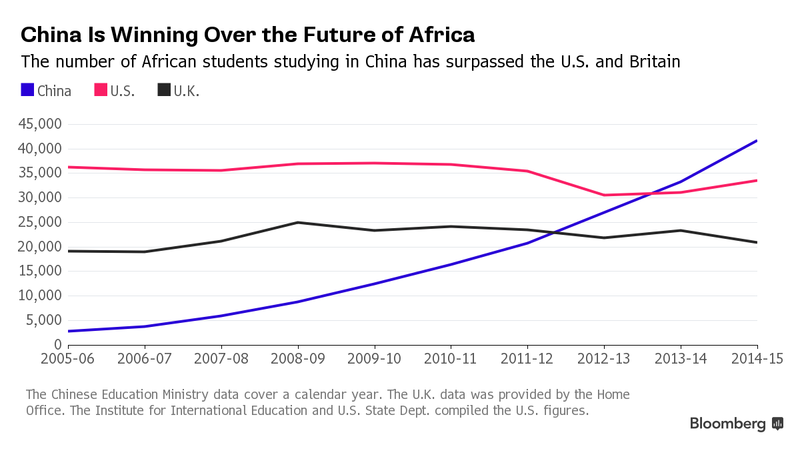 According to data compiled by Michigan State University, China has now become a more popular destination for African students than the US or the UK. The image to the right from Bloomberg coverage seems to confirm this. 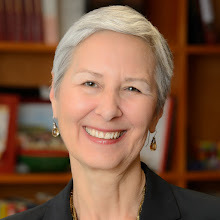 An article in The Conversation by MSU scholars Virginia Breeze and Nathan Moore explains the "dramatic increase ... in part by the Chinese government’s targeted focus on African human resource and education development." This targeted focus is a reality and their data confirm that Africans are taking advantage of this focus. However, is it true that China is now way ahead of "the West"? 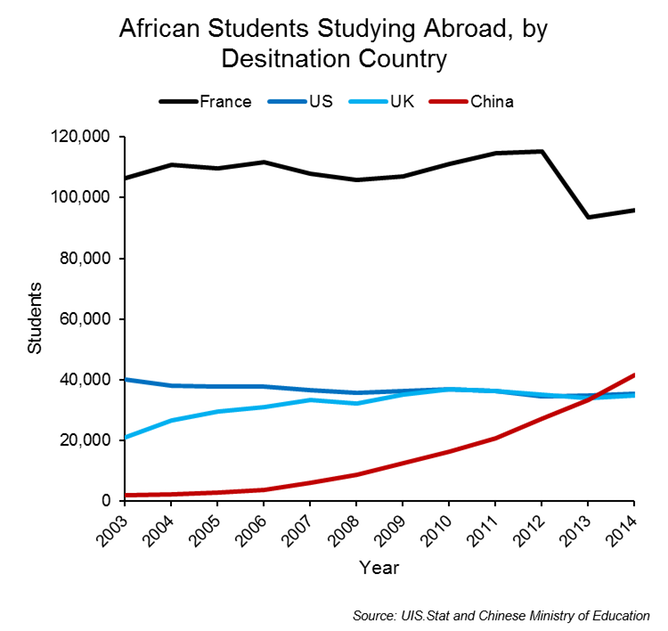 A chart on African students studying abroad by destination country in Breeze and Moore's article makes for a more interesting comparison. 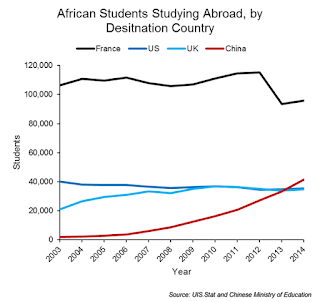 France appears still to be, far and away, the biggest draw for the hearts and minds of African students. FrancAfrique lives on! A h/t to Libby Holmes. Responsibility for the foreign assistance work of the Ministry of Commerce and the coordination of the Ministry of Foreign Affairs and the coordination of the functions of the members of the Ministry of Foreign Affairs have been consolidated. The National Development and Cooperation Agency has been established as a direct agency of the State Council. The specific implementation of foreign aid is still undertaken by the department in charge of division of labor. This is a move long under discussion. 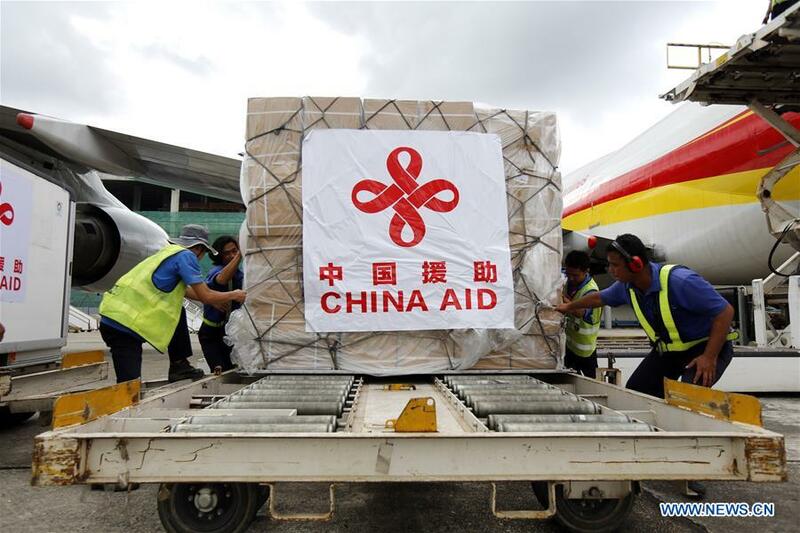 As China's aid has grown, this new agency directly under the State Council will enhance the profile of China's assistance program, and give the agency equal standing with other agencies directly under the State Council. It will resemble Britain's Department for International Development, which has similar standing, more than the US Agency for International Development, which is firmly under the US State Department. Secretary Tillerson is heading to Africa on March 6th, to Ethiopia, Djibouti, Kenya, Chad, and Nigeria. Although this visit is being framed by some as the Trump administration's response to the fallout from his much criticized recent comment on African countries, it is also clearly being positioned as a response to China's increased engagement on the continent. A few clips from the special teleconference briefing held for senior State Department officials and journalists March 2, and published on the State website make it clear that State is still influenced by the same mindset that we saw reflected in Secretary Clinton's remarks during her visits in 2011 and 2012. Yet there has also been progress. The other issue, too, that we’re looking at is how to really keep African resources and also development beneficial for the people of Africa. Right now we’re looking at the growing indebtedness in Africa. That’s not a good thing. We’re looking at other countries, not helpful countries, other countries too, expropriating a lot of resources. When I read that I thought: here we go again. Has the State Department mindset really not changed since 2012? Yet I had to reassess that a bit later, when reporter Laura Koran from CNN asked a question about Tillerson's view of China's role. Yeah. Okay. So here’s an interesting point is that we, the United States, especially part in – by region. So in the Africa region, we are going to have a heart-to-heart discussion with the Chinese. We’ve invited the Chinese to come to Washington to talk about their programs in Africa. And so on the one hand, the unhelpful role is the providing low-interest but really concessionary loans which really indebts the country. So for all of us who worked on HIPC – in other words, getting African countries post-colonial period off of debt – to see these countries re-indebted again is not only outrageous and terrible, but for us it’s really just – I mean, we spent so much time getting them off of debt, and to see them to go back on debt is just terrible. And it goes back to not only corruption in some of these states, but also the ease in which not only China – and you’re talking Russia, Iran, and other countries providing low-interest loans. And this is really kind of another forum of impoverishment and poverty, because it’s – unlike HIPC, we can’t really kind of repay loans back to banks, and so this is going to be a very tough issue to address. [I agree that debt levels are rising, and with low commodity prices, some countries are having trouble earning enough to repay their debts. Chinese government policy bank loans contribute to that (the major influence, in the case of Ethiopia and Angola). At CARI we have been beating the drum about this recently based on evidence: our tracking of a rising trend in signed Chinese loans. The other issues aside too, though, is China builds things. We don’t construct. And so in that regard China can play a helpful role. The other issue, too, is that China has some really good ideas on development in developing areas, such as how to do better healthcare, how to do water production. So those are things that are good. Also China did a good favor for us in Sudan, providing an engineer battalion to provide assistance to the UN operations there. So when you look at China, it’s a very complex relationship. We have a lot of areas and issues that we’re in conflict, but the issue comes in is that we’re trying to find the areas where we can build some type of support and cooperation that will be to the betterment of Africa. But one area that’s not to the betterment is these loan rates, which is terrible. So we’ve looked at countries, and we’re doing data dumping. Some – a lot of countries in Southern Africa and parts of the east and west are having anywhere from 50 percent to in one case 200 percent of GDP debt. And 80 percent and 50 percent are probably Chinese loans, and that’s really not acceptable, and that’s an area that we really need to address and focus on. Hmmm. Our China Africa Research Initiative (CARI) team has data on this. Let's see what they have to say next week. So when you said “countering China,” I think the better word is probably how are we going to resolve tensions, problems. How can we make China much more supportive of the overall development of Africa. Because what we don’t want to see is – let’s say, for instance, Congo, which is very rich in resources – where you see Russia, China, North Korea, Iran taking out resources, yet the Congolese don’t receive very much in benefits. How do you resolve that? How do you develop, how do you get these countries to really benefit from the resources that they have, yet at the same time these countries such as China, Russia, Iran is also developing but also they give back a lot to the Africans? And that’s an issue and a question we need to pursue during this trip over. If I understand what the official was saying here -- and that's a bit of a challenge -- s/he's asking: How do you develop? If we're talking economic development, China has some ideas and some very recent experience. I'm not so sure we have either. But the conversation will be interesting. Our CARI team is going to try to provide actual numbers on this Chinese debt for the countries where Secretary Tillerson is traveling. We'll be providing a briefing package for media early in the coming week. 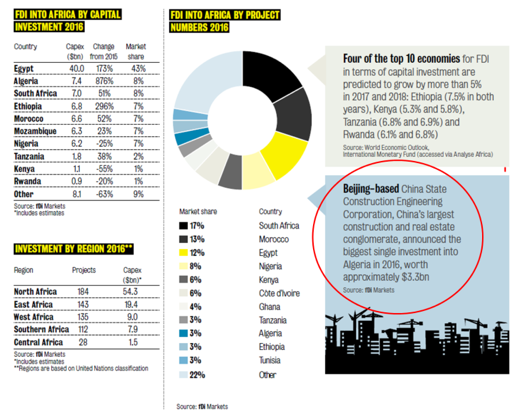 There is another approach in attempting to understand China's FDI in Africa: counting the number of Chinese enterprises. Thus, according to a report by McKinsey published in 2017, Dance of the Lions and Dragons, "there are more than 10,000 Chinese-owned firms operating in Africa today." Maybe yes, maybe not. In any case, the report gives no precise definition of what a Chinese enterprise in Africa is, except that it would be "Chinese-owned" implying a business owned by a Chinese natural or legal person. I doubt that statistical services regard an enterprise as "Chinese" on that sole ground. Among the enterprises regarded as "Chinese", we must distinguish several categories. The overwhelming majority of these enterprises are small and micro businesses that are locally incorporated. Legally and statistically speaking, they are all local enterprises even if they are "Chinese-owned". Most often, these businesses are registered by Chinese migrants who invested the savings they earned locally as employees. 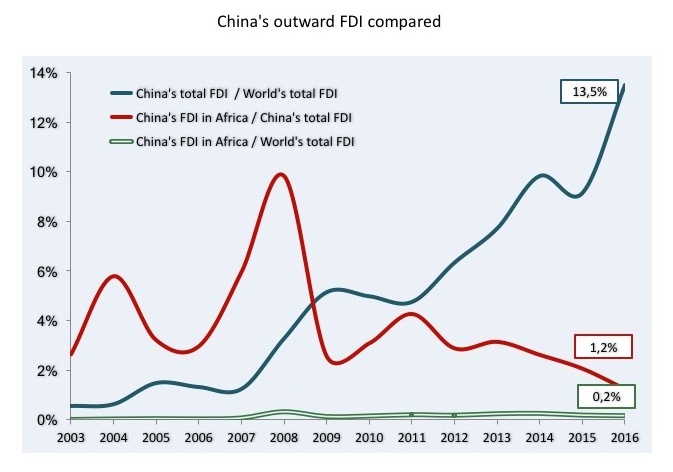 Not only is the capital built up small, but also it is not, strictly speaking, Chinese FDI, as it does not result from any financial flow from China to some African country. At the opposite extreme, we find the African subsidiaries of large enterprises incorporated in China. Strictly speaking, these overseas subsidiaries are the only entities that deserve to be designated as "Chinese enterprises" (i.e. overseas business units with legal personality that are controlled by a group incorporated in China). These two extreme categories are in stark contrast: generally small businesses vs. large companies; local businesses vs. subsidiaries controlled by a Chinese enterprise; no Chinese government support vs. Chinese support (central or provincial government); private vs. (mostly) public... Merging both categories into a single one is like adding apples and oranges. Between both extremes, we find a wide variety of situations. Among other formal structures, there are representative offices (daibiaochu), executive offices (banshichu), branch offices (fengongsi)…. These various management units are mostly not legal persons and are therefore rarely registered in the local Registry of Commerce. Furthermore, the presence of many of them is often limited to the duration of one contract, or other operation. Consider Algeria's "Century Project", the construction project of the East-West Motorway. A consortium formed by China's CITIC corporation and China Railway Construction Engineering Group (CRCC) has won the bid for a motorway. Some thirty companies incorporated in China (including the subsidiaries of some foreign firms) have been participating directly or indirectly in the motorway project (see Figure 1). Very few had a more formal structure than a command post, and even fewer have registered in the Algerian National Registry of Commerce. Even the Consortium, which was incorporated in the British Virgin Islands, has not completed the registration initiated some years earlier when negotiations were underway. 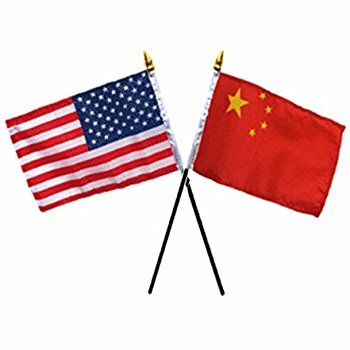 As my two previous posts also demonstrate, words such as "Chinese investment" have a very specific meaning especially when they are technical, legal, economic or statistical terms. Indulging in unsuitable semantics when analyzing can only lead to approximations that are detrimental to the understanding of the phenomena studied; consequently, such bias can only be prejudicial to the implementation of any strategy, co-operation or opposition. CECC or CCECC: China Civil Engineering Construction Corporation. 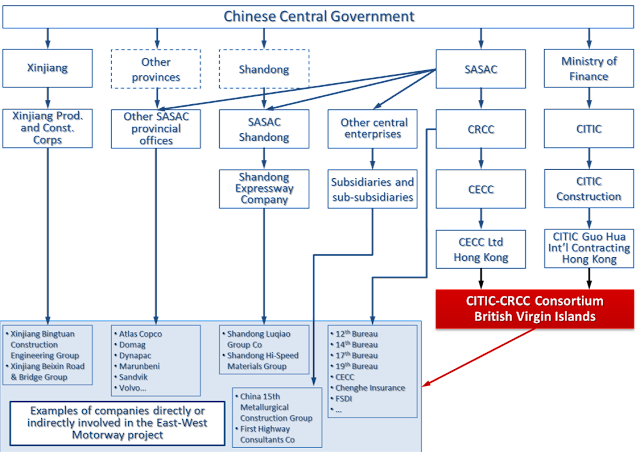 CITIC: China International Trust Investment Corporation. CRCC: China Railway Construction Corporation Limited. SASAC: State-owned Assets Supervision and Administration Commission. Xinjiang Prod. And Const. Corps: Xinjiang Production and Construction Corps. Dr. Thierry Pairault is research director at France's Centre National de la Recherche Scientifique (CNRS - National Center for Scientific Research) and at the Center of Studies on Modern and Contemporary China at the École des Hautes Études en Sciences Sociales (EHESS - School of Advanced Studies in Social Sciences). Please see http://pairault.fr/sinaf/ for more information about his work. Dance of the lions and dragons. How are Africa and China engaging, and how will the partnership evolve?, June 2017. Thierry Pairault, "Algérie, quelle présence chinoise ?" published in A. Adel, Th. Pairault et F. Talahite (éd. ), Algérie-Chine : approche socio-économiques, Paris, Eska, 2017, p. 34-45. The whole story is told in a post on my website: "L'entreprise chinoise est en fait algérienne...", https://www.pairault.fr/sinaf/index.php/chine-algerie/919. This guest post, the second of three, is by Dr. Thierry Pairault, research director at France's Centre National de la Recherche Scientifique (CNRS). Chinese official overseas FDI data has its problems, as this blog has pointed out. For example, the two largest investment destinations in Latin America are the Cayman Islands and the British Virgin Islands, two offshore financial centers. Yet it's likely to be more accurate than the data put out by The Financial Times. Here we look at trends and comparisons, which are less likely to be affected by the Chinese affection for offshore financial centers. The trends in the MOFCOM data suggest that Chinese investment in Africa is not only modest, it is falling. According to official data, the amount of Chinese FDI in Africa for 2016 was $ 2.4 billion, a decrease of 19% compared to 2015 ($ 2.9 billion), itself falling by 7 % compared to 2014 ($ 3.2 billion), itself in 5% fell compared to 2013 which was the second-highest year from 2003 to today. 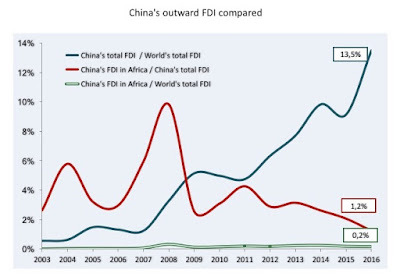 While the share of China's total outward FDI has increased steadily since 2003 to 13.5% of the World's total FDI, the share of China's FDI in Africa has declined consistently since 2011 and is now only 1.2% of China's total outward FDI and 0.2% of World's total FDI (see Figure 1). 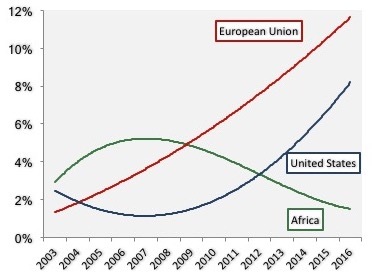 According to Figure 2, Chinese FDI in Africa seems to have peaked, while that in the EU and the US has been steadily rising. Investing, Financing, or Providing Services? Then, the question: how to reconcile the feeling that China is investing heavily in Africa with factual data showing the precise opposite? FDI is an activity in which an investor resident in one country obtains a lasting interest in, and a significant influence on the management of an entity resident in another country. This may involve either creating an entirely new enterprise (so-called "greenfield" investment) or, more typically, changing the ownership of existing enterprises (via mergers and acquisitions). Other types of financial transactions between related enterprises, like reinvesting the earnings of the FDI enterprise or other capital transfers, are also defined as foreign direct investment. China does not invest in infrastructure in Africa but builds and finances African investments in infrastructure. In order to make the confusion more obvious and give investment its exact role, I shall compare the amount of FDI to the value of services provided. I shall take the turnover of overseas construction contracts completed in one year as a proxy for services. 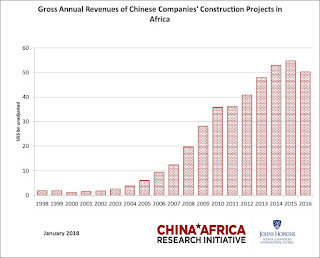 Figure 3 shows that the turnover achieved by Chinese construction companies in 2016 was more than 25 times higher than the amount invested by China in Africa. Fig. 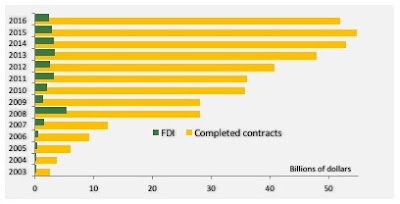 3: China in Africa: FDI vs Completed contracts. Sources: MofCOM, National Bureau of Statistics. This was not an exception but the rule. It must be perfectly clear that China's FDI in Africa is an expense for China but not an income for the hosting African country. On the other hand, payment for services is an expense (and at the same time an investment) for the client African country AND a revenue for China. 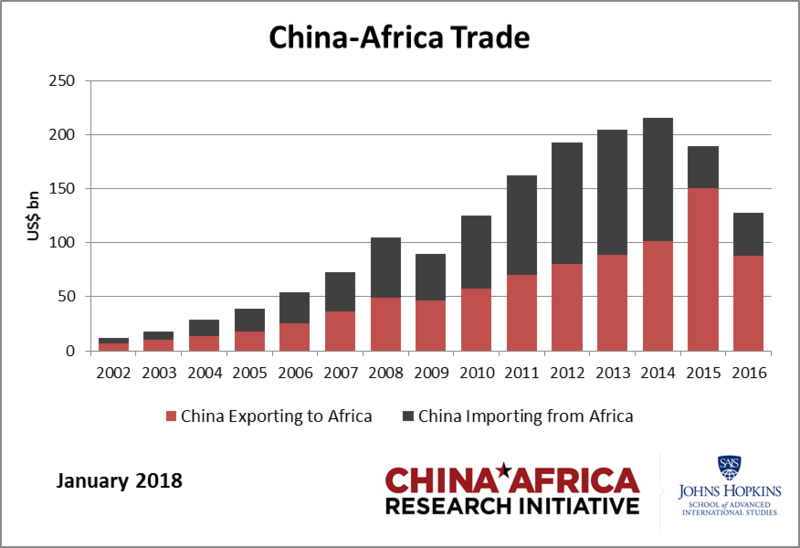 Keeping in mind this difference, these two activities each illustrate, in their own way, China's presence in Africa; they show clearly that China is a services provider rather than an investor, that Africa is rather a customer than a partner. 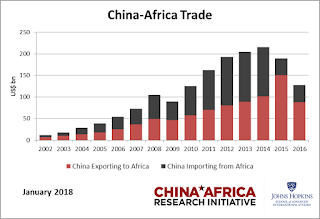 This conclusion would be even more evident if the services were to be added to the Chinese goods bought by African countries or, more accurately, to the growing African merchandise trade deficit with China. In my final post, using examples from Algeria, I will explain how the many kinds of "Chinese" enterprises in Africa further complicate efforts to understand Chinese FDI. Dr. Thierry Pairault is research director at France's Centre National de la Recherche Scientifique (CNRS) and at the Center of Studies on Modern and Contemporary China at the École des Hautes Études en Sciences Sociales (EHESS - School of Advanced Studies in Social Sciences). Please see http://pairault.fr/sinaf/ for more information about his work. Notes 1 and 2, page 3 (see http://fec.mofcom.gov.cn/article/tjsj/tjgb/201709/20170902653690.shtml). Moreover, to be considered as a direct investment, an investment must represent at least 10% of the shares; otherwise it is a portfolio investment (speculative therefore most often). OECD Economic Outlook, Volume 2003, Issue 1, p. 158 (Box VI-I). Chinese statisticians use the terms "Contracted projects", chengbao gongcheng, and "Value of Turnover fulfilled", wancheng yingye'e. We are taught, "Overseas Contracted Projects refer to activities of contracting overseas construction projects by Chinese enterprises". Once upon a time... Africa met the good fairy China who became a very significant investor. It's a beautiful story, but how accurate is this fairy tale? This reading aroused profound doubts in my mind as to the methodology used for a document read by many people and widely cited in the press. I shall provide here two flagrant examples of bald misstatements, conveyed by this report. A "Chinese-owned" El Hamdania Port? The first example is taken from page 5 (see Figure 1). We are told that the China State Construction Engineering Corporation (CSCEC) has invested $ 3.3 billion in Algeria in 2016. The information is false. This very large sum refers to the expected construction cost for the deep water El Hamdania port in Algeria. A Chinese consortium of banks may finance a portion of this project, although no loans have been signed. But this loan if it happens will be taken out by the Algerian government. Neither the CSCEC nor the other Chinese engineering firm involved in the project -- China Harbour Engineering Company, CHEC -- are investors, but service providers on behalf of the Algerian government, which is the sole investor. Therefore, this $ 3.3 billion project cannot be considered as a Chinese investment in Algeria in 2016, or even as a future Chinese investment project. This past weekend, China's central television station CCTV broadcast a Chinese New Year celebration that featured a Chinese actress in blackface, with an artificial, large bottom, playing an African woman for comedic effect. Many people have been offended and outraged by this portrayal. The skit has been covered by the New York Times and a host of other media outlets. If the goal was to portray China-Africa relations in a positive light, it backfired big time. A lot of people have contacted me about this video. After watching it, I was not outraged (but I live in Washington DC, where our standard for outrage is a moving target...). I agree it was tasteless. 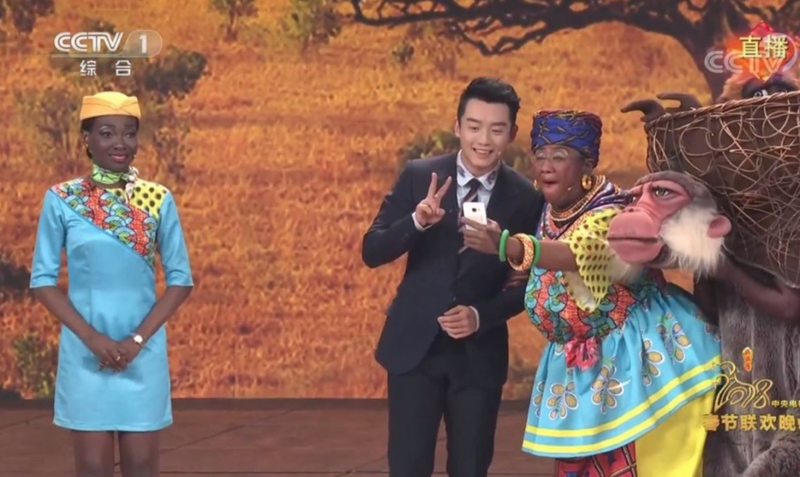 It also reflected a "pat ourselves on the back" condescending attitude from the Chinese in the skit toward the "Africans". The Dragon's gifts? Cringeworthy indeed. Yet in the media coverage so far,** I haven't seen much comparative or historical context for this kerfuffle. China is still at the stage of cultural awareness and sensitivity that the US was in decades ago. Back then, in Latin America, our government was trying to win hearts and minds through aid programs like the Alliance for Progress. 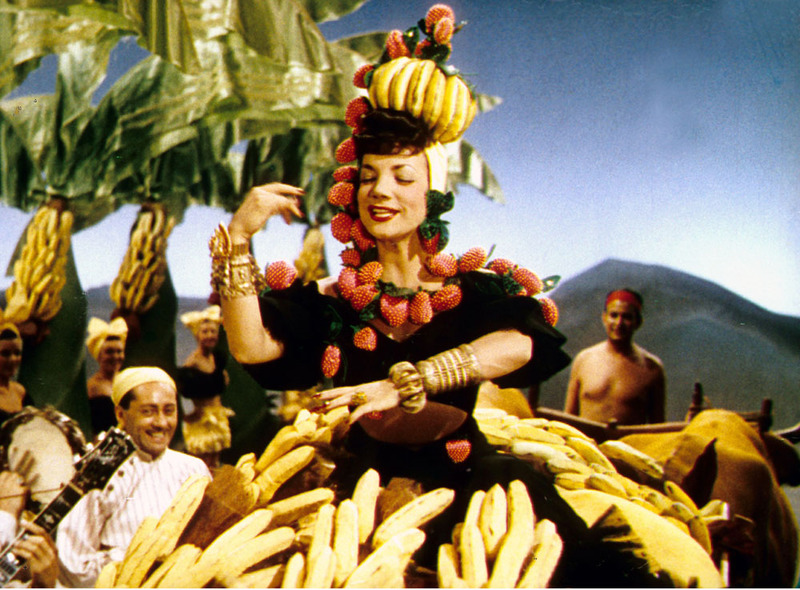 Chiquita, the multinational company of "banana republic" fame, was portraying Latinas as voluptuous dancers with bananas on their heads. Our media's concern over expressions of racism in China, even as relatively benign as this one, show how far we have come in the West in overcoming deeply entrenched racism. * But they also remind me how far we have to go. Yes, we have had blackface, yellow-face and red-face, with European actors playing those of African, Asian, and native American heritage. In West Side Story, the Latina heroine was played by Natalie Wood. The Lone Ranger’s Indian side-kick Tonto was played by a white man. And we still have dubious casting decisions that reflect "white-washing" -- see the uproar over a decision to use a 100% European actress (Emma Stone) to portray a woman who was half-European, half Asian/native Hawaiian). At Halloween, we're still blithely dressing our kids in Carmen Miranda "Chiquita Banana" costumes, although as NPR and others have pointed out, many Latin Americans view this as offensive and racist. Yes, we have progressed. Europeans no longer exhibit people from Africa in zoos. And recall Sarah Baartman and other 19th century "South African Khoikhoi women who, due to their large buttocks, were exhibited as freak show attractions" across Europe. What's likely to happen in China? In recent years, China's economy has developed faster than any in the modern era. To those of us who first visited China in the 1970s, the social changes from 1978 onward are mind-boggling. Without much of a legacy of slavery, China's racism toward Africans has not been nearly as deep as ours in the US. Given this, I was encouraged to see, in the online comments, the internal Chinese debates over racism sparked by the media coverage. Change is happening. If a thoughtful, respectful and friendly relationship with Africans is really desired in Beijing, they will allow these debates to continue among Chinese netizens. Conversations like this are part of how Chinese people will get "woke" to their racism. **After posting this, I read an interesting take on this published in Kenya. Hat tip to Magnus Fiskesjö. And here's a link to a fascinating and relevant 2016 blog post by Derek Sheridan on the infamous Qiaobi ad.